Home / Automotive / News / Callaway's New 610 Hp Camaro Is Quite The Beast! 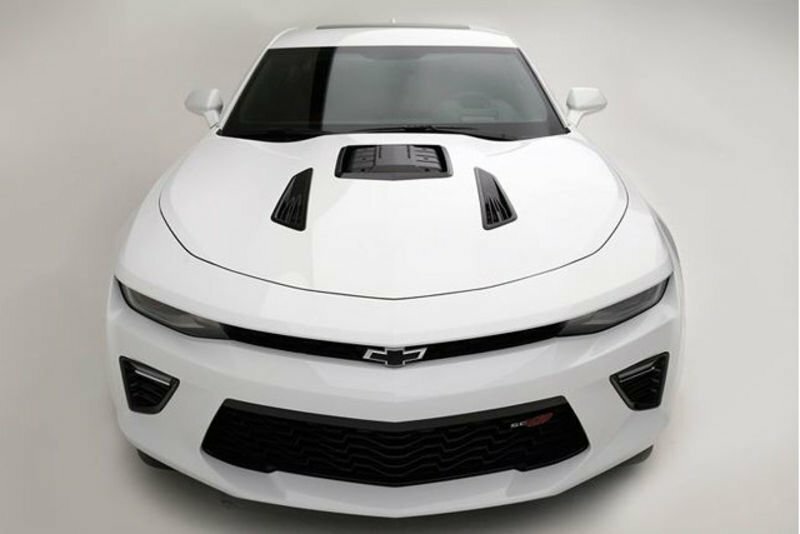 It looks like the Storm Trooper of the car world and it’s called the Camaro SC610. 610 as in 610 hp and 610 lb-ft of torque. Those figures are up from 455 hp and 455 lb-ft. This is made possible with a GenThree Supercharger being bolted to that familiar 6.2-liter V8 found in the new Camaro SS. That supercharger was actually first developed for Callaway’s Corvette SC757.Other modifications done to the Camaro SC610 include an optimized ECU, a TripleCooled intercooler system, a High Recovery Cold Air Intake System, and an AeroSurround Extractor. Buyers will can opt for either a six-speed manual or an optional six-speed automatic. Other standard bits include unique Callaway badging inside and out, door sill panels, embroidered floor mats, Callaway key fobs, and authenticity documentation. Optional items include Callaway Nine Spoke FlowForged Wheels and a car cover.